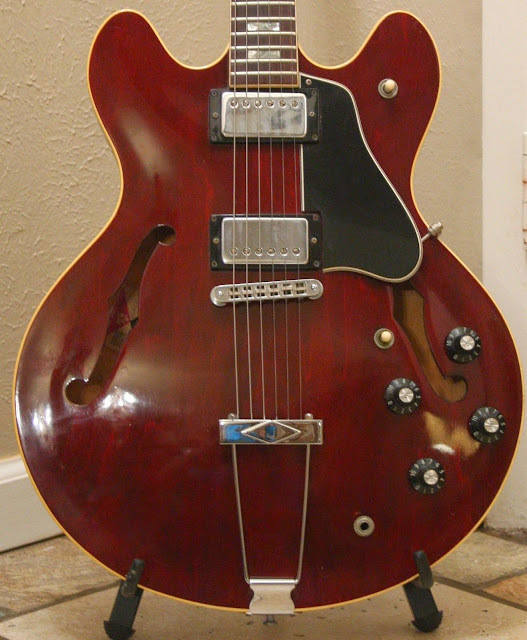 "This guitar came directly from the 1977 Namm Dealer Show. 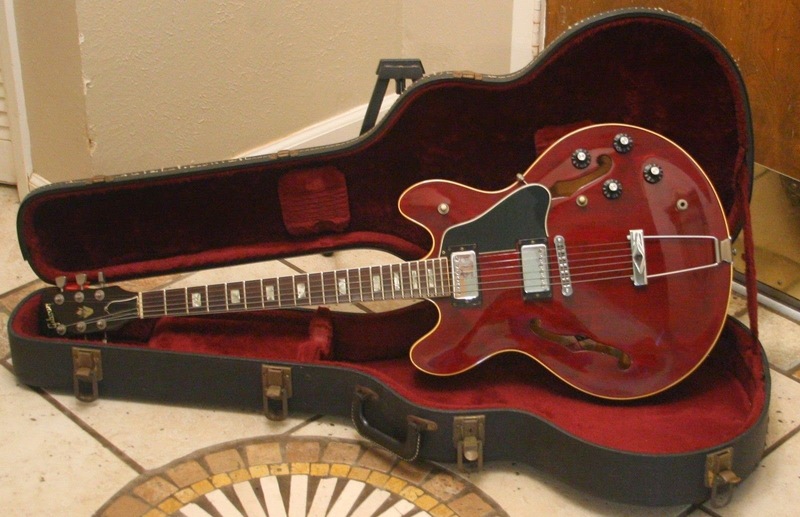 The late great vintage guitar collector Charley Wirz (original owner of Dallas`s Charley`s Guitar Shop) originally owned this guitar then and now it is up for sale. The extra toggle switch in the front part of the body acts as an out of phase switch when pushed in the down position. The neck plays like butter and the tone is awesome. The finish is a Heritage Cherry Finish. The nut width is approx. one nich and 10/16th."